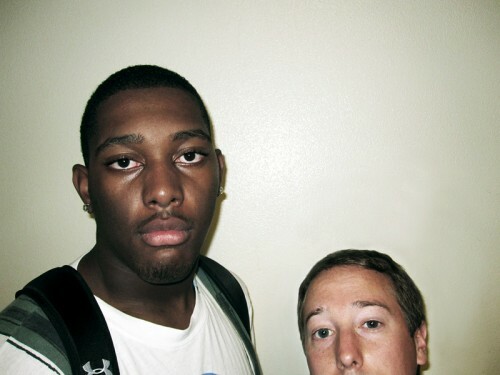 That’s me on the right side, down in the corner… I’m sure Josh was standing on his tip toes. What a kidder. I am kind of a sports nut if you didn’t know, so I really enjoy working with athletes. Actually, I really enjoy working with just about everyone, but a small part of me still thinks I might have a shot at the bigs. I guess the reality of it for me is photographing professional athletes is as close as I’m going to get. Now that I think about it, I seem to get hired quite a bit to photograph the big guys. It’s probably because people know if an athlete goes crazy during a shoot or becomes too high maintenance, I can use my size to intimidate them and get the shots I need. Like when I had to smack around Craig and Paul Pumphrey on the Human Wreckingballs shoot I did last year. Just kidding Craig! I would never think about crossing you. I could probably take Paul though. 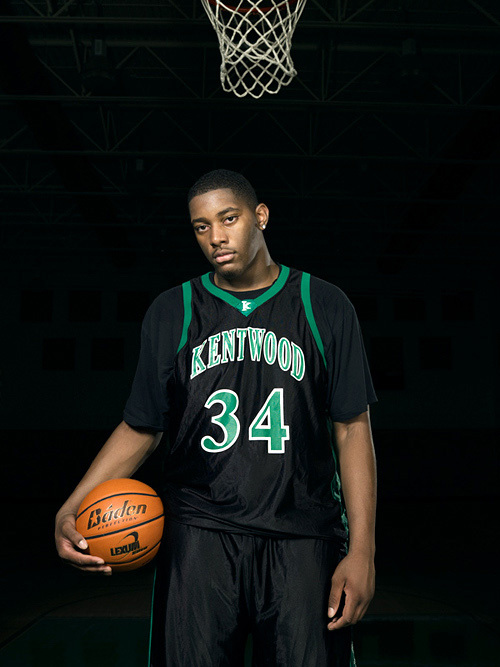 Josh Smith is a high school senior at Kentwood High in Washington State. 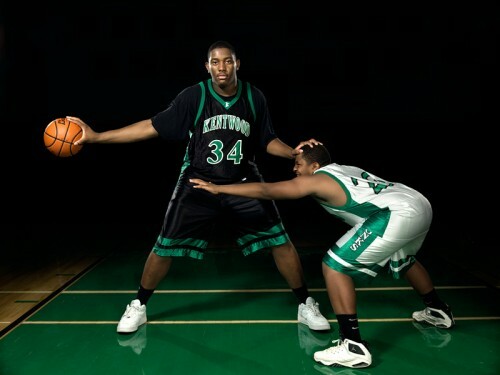 He stands at 6′ 9” and weighs in at 270 pounds. Not bad, not bad. As far as I can tell he is currently ranked as a top 5 college recruit in the country, but I think that changes frequently. 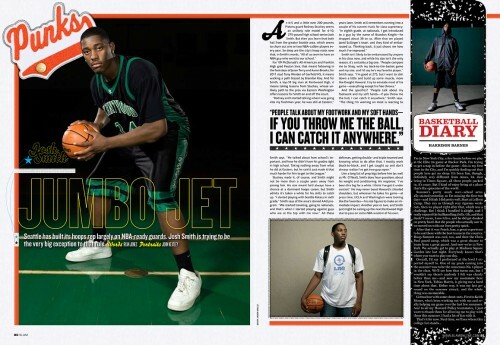 The day before the shoot (which was for SLAM), Josh was in New York playing in the high school basketball All Star game. I am sure he is excited about what is going on in his life right now, but he seemed so calm and in control. I tried to imagine what it would be like to be in high school and get this kind of national attention. Not only that, but how crazy is it to know that there is a very good chance that you will be pro in just a few years while you are still living a somewhat normal lifestyle. It sounds to me like he is actually a little tired of all the attention, which is understandable. Anytime something big happens in a persons life, such as graduation, marriage, having a baby, etc., that event becomes an easy topic for discussion for everyone around you. It’s the big easy question that allows people to engage you in conversation without having to think about what they are saying.